Growing up, I was lucky enough to spend my weekends at my parents hobby farm, which bordered Little Crystal Creek and Big Crystal Creek. I always loved the wet season. 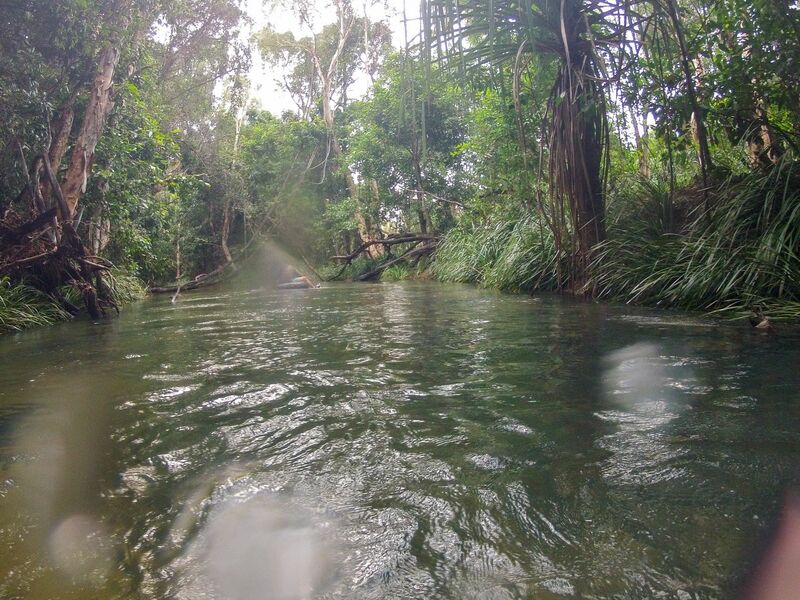 It meant that I could explore the flooded creeks around Townsville, and often I would float down on rafts and tractor tubes with my older sisters. I remember finding large dead trees that would float, finding surfboard-shaped pieces of driftwood, holding onto vines, and surfing the rapids like waves. We had a pretty epic childhood. First of all, make sure you are comfortable in floodwaters and are a strong swimmer. 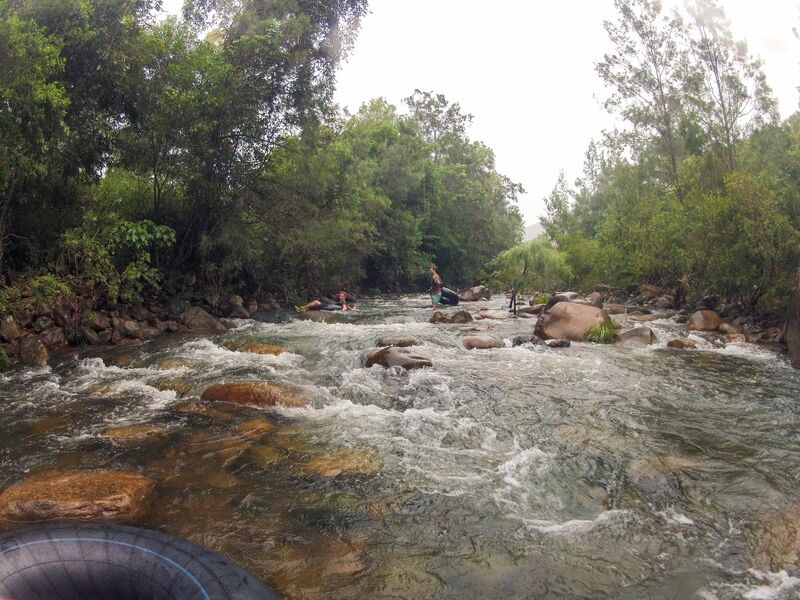 Swift water rescue experience is recommended and before you head out check the BOM Creek Data. 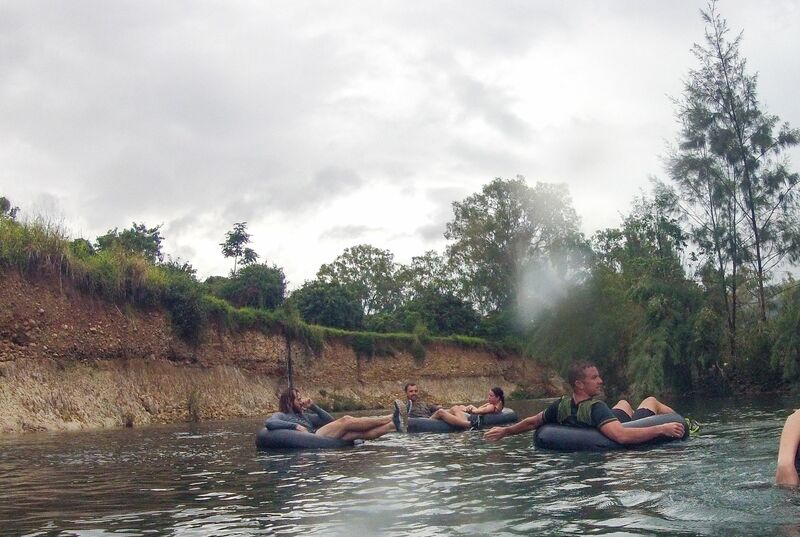 As always, visually inspect the water levels and flow, come up with a plan, and discuss with your mates before you jump. 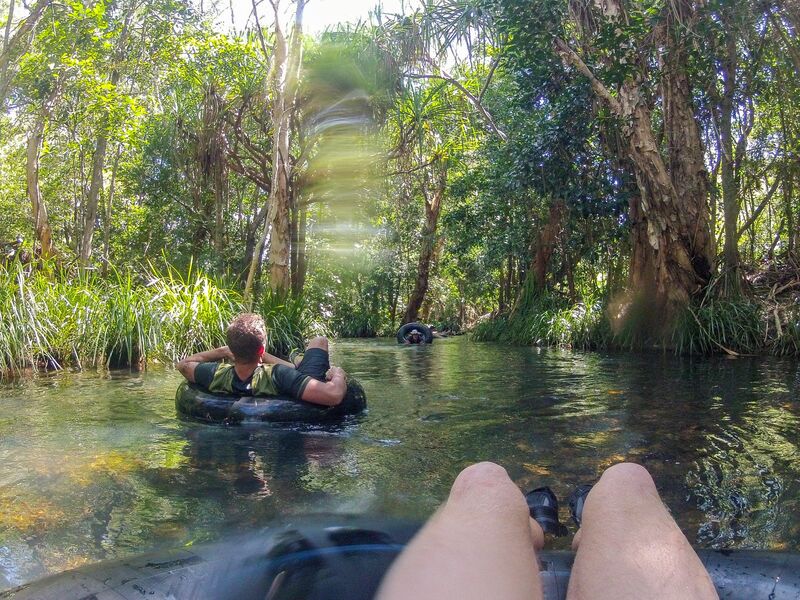 Some creeks are straightforward, and others are 'adventure creeks'. Send the experienced people first and last. They will need to call out directions, like "Bums Up", "Left", "Middle", "Right". Start at the causeway across Bullocky Tom's Creek. Follow the creek all the way down to reach Big Crystal Creek. Exit before the highway bridge. This is a perfect beginner creek. It's relaxing, and it's a long ride, taking approximately 1 to 2 hours depending on drop-off and pick-up points. A perfect place to launch is Paradise Waterhole, and an ideal exit point is at the concrete causeway at Mutarnee. This large creek is also great for whitewater kayaking. You will need plenty of water in the creek; otherwise, you will be walking for half of it. Start at the base of Paluma Range, and finish at the bridge on Spiegelhauer Road, or continue to the Big Crystal Creek causeway at Mutarnee. Ollera Creek is a magical place with beautiful waterfalls and rock slides. 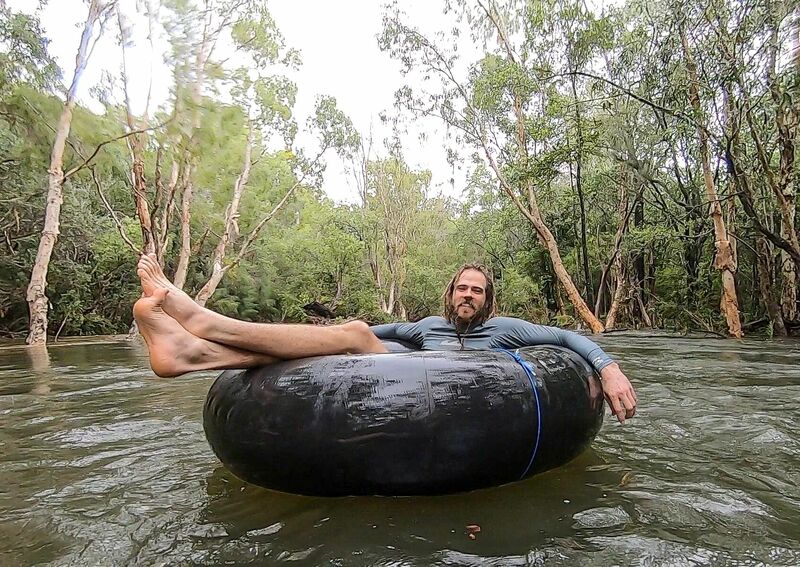 However, for tubing purposes, you don't need to go far. Start at the causeway on Caleo Road (accessed via Ponderosa Road) and exiting at Ed Kratzmann Bridge (the highway). The optimal water level is when the flood waters are at 0.6m above the causeway. The hazards on this creek are the water pipes and a barbed wire fence that crosses the creek. Rollingstone Creek is probably the most common and the most well known place to go swimming and tubing. Check the level before you go, and be sure you can get over or under the water pipes safety before you launch. Exit at William Crabb Bridge or at the back of the Bluewater rest area. You could also launch from a causeway on the South or West Branch of Rollingstone Creek. This is a perfect beginner creek. This is best done when Ross River is flowing, the dam is at its peak, and Townsville City Council have opened the dam gates. Enter at Blue Hills Park or Framara Park, and exit at Apex Park. Enter at Cockatoo Creek, and exit at the causeway. 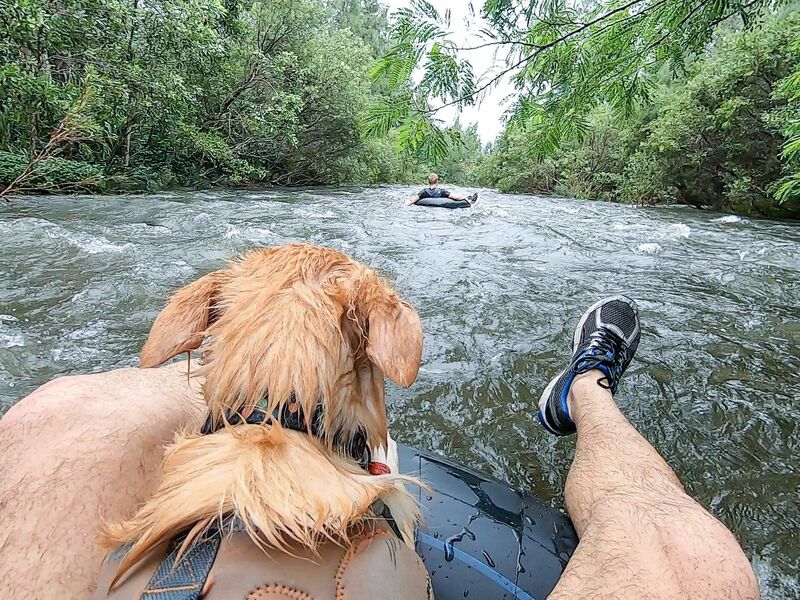 It's also great to packraft. Although I have not done every creek, other notable watercourses include Leichhardt Creek, Bluewater Creek, Black River, and any other creek that has a bit of flow but not many trees when flooded. Be aware of saltwater crocodiles that can be in creeks and estuaries. Any activity in flood waters is dangerous; enter at your own risk. Flooding risks include the possibility of being impaled by trees, pinched, and pinned down leading to drowning. Please be aware that crocodiles may be in these estuaries and creeks. Even though they are commonly referred to as saltwater crocodiles, they can inhabit freshwater and can swim upstream. Bullrouts (freshwater stonefish) are known to be in some of these creeks, and can cause extreme pain if you step on them – I have experienced it first hand. Map your route beforehand. This can be important, especially if things get sketchy, as you can always bail and find a way back to the car. Overcast or drizzling conditions can be ideal, as it is harder to get sunburnt. Wetsuits or long clothing can help protect against rocks and mosquitos. Should members of your group wear life jackets? Does anyone have swift water rescue knowledge or experience? 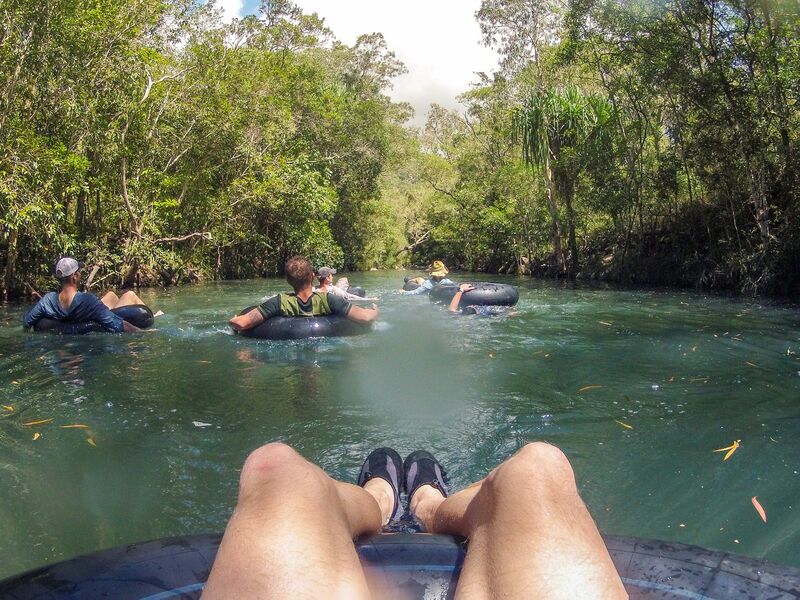 Strapping a dry bag with a first aid kit and emergency beacon to the side of one of the tubes can be advantageous. Is flash flooding a possibility?